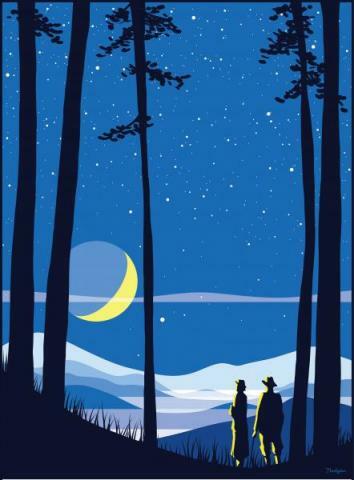 Join us for the 7th annual Statewide Star Party! The session will highlight the moon, and will begin around 8:30 p.m., after our NCSF Stellar Society Lecture by UNCG Astronomer Alicia Aarnio, who will speak about the sun at 7:30 in GTCC's Koury Auditorium. Join us for an evening of Sun & Moon activities and lunar observing. Cline Observatory will be open for free public viewing, weather permitting. Our Statewide Star Party observing session will feature observation of the moon and other objects, along with associated moon-observing activities, led by GTCC's observatory staff and Stellar Society student astronomy club members. We will also be providing moon-related state-wide star party activities at our NCSF Science Hall Open House on Friday, April 5th.